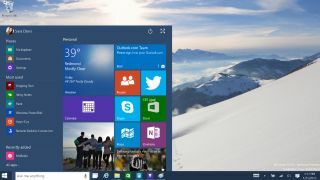 Microsoft's cross-platform Office 365 suite and Windows 10 have received another shot in the arm following the acquisition of Sunrise, a next-generation calendar app for touch screen devices. The plan is that Microsoft will incorporate Sunrise into Office 365 for its touch-optimised version of Windows 10 as part of the company's vision to "create more meaningful, beautiful experiences in mobile email and calendaring across all platforms." Sunrise, which began life as a newsletter providing calendar information by email, changed its spots to become a mobile-facing calendar that brings together information from all facets of your digital life. Anyone familiar with the Apple desktop calendar that comes as part of Yosemite will be familiar with the layout of Sunrise when it eventually appears in Windows 10, which itself should be released to manufacturers in June. The developers of Sunrise, in a separate release, have promised that the app will continue to be free for all desktop users as well as those on the wealth of other platforms that it is offered. The deal mirrors the one it made last year for Accompli, a mobile email client that eventually morphed into Outlook for iOS and Android, and it's expected that Microsoft will have much the same attitude when it comes to Sunrise.